In this chapter you will find detailed information on how to accomplish rectangle detection in C#. To implement this idea, OZEKI Camera SDK has to be installed and a reference to OzekiSDK.dll has to be added to your Visual Studio project. 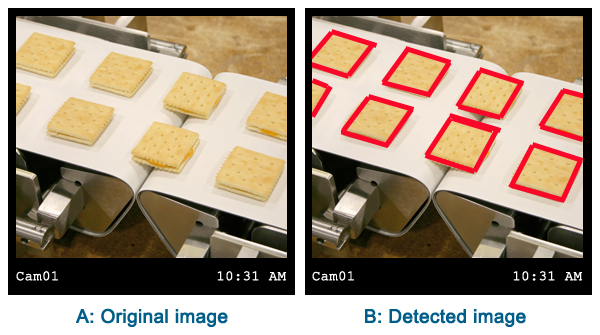 The rectangle detection function of the Ozeki Camera SDK software can be an effective help in several situations and can be used in different Machine Vision applications. You can use rectangle detection when you wish to detect rectangulars or detect discontinuities in shapes. Furthermore, you can benefit from this function in the field of counting since you can easily detect all rectangulars in a given area. In this way, this function can also help you in organizing. To mention another example, the rectangle detection can be useful when you wish to design different environments. For detecting faces we can use the IRectangleDetector object of the Ozeki Camera SDK. After an instance has been created with the help of the static ImageProcesserFactory class we can detect on frames and on video as well. This guide demonstrated how you can implement rectangle detection with your C# camera application. On this page you can find detailed information and documentation about the operating and about the corporate use of this function. Furthermore, you can get a free code example to implement your idea.